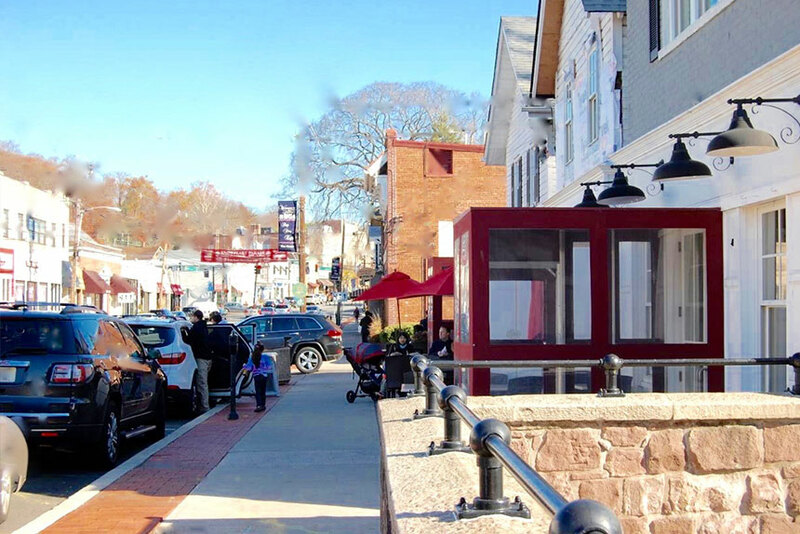 If you are looking for beautiful homes nestled in lovely neighborhoods, a top-rated school system, numerous downtown restaurants, an easy commute to NYC and world class shopping, Millburn-Short Hills is the place for you. Millburn and Short Hills share the governance of Millburn Township; together, the combined population is approximately 20,000. The community of Millburn surrounds the downtown commercial area. Short Hills, adjacent to Millburn, is known for its gracious homes and generally larger properties. Each town offers close proximity to shops, restaurants, movies, one of two train stations and numerous parks. Millburn-Short Hills combine to form one of the most beautiful and appealing communities in New Jersey; in fact, Millburn Township is considered by many to be one of the most prestigious communities in the nation. Millburn-Short Hills is approximately 21 miles due west of midtown Manhattan, out the I-78 corridor. The commute to and from New York is 40 minutes by car or an easy 35-minute train ride from Penn Station or Wall Street. It is also a quick 15 minutes away from Newark Liberty International Airport. Click to see the map: Short Hills – Millburn. The Millburn Township School District is recognized nationally for its academic excellence. The top-rated schools in Millburn and Short Hills are a major draw for families moving into the area. Community parents are involved both personally and economically with the District school system. Town residents founded the Millburn Education Foundation in 1993 and the Foundation now makes over $200,000 in annual grants to the district schools “to enhance curriculum programs that could not be funded within current budget caps.” Busing is available to all students for an annual fee of $580/child for pupils who do not qualify for state-mandated transportation. Millburn High School is an academically rigorous high school that has consistently ranked as one of the top schools in the country. 99% of MHS graduates attend college, many choosing to attend prestigious schools such as Princeton, Harvard, Yale, University of Pennsylvania, Brown, Vanderbilt, Dartmouth, Cornell, MIT, University of Chicago, Northwestern, Colgate, Kenyon, Lehigh and Georgetown. MHS has an average enrollment of 1,525 students, a student-to-teacher ratio of 12:1, and offers over 25 Advanced Placement courses. There are also many extracurricular activities, including 26 sports teams, numerous clubs, a nationally regarded forensics team, a Lincoln-Douglas debate team, school newspaper, two literary magazines, many music and singing groups, and an extensive theater program called the Limelight Players. The town colors are blue and white and the mascot for Millburn High School is the Millers. The five Millburn-Short Hills elementary schools feed into the Millburn Middle School. MMS focuses on developing study skills and leadership training; it is justifiably proud of its academic excellence. At MMS each grade is divided into three or four different Teams. The team system helps each student develop his own personal relationship with the larger student body. MMS mixers, called TGIF, are held four times a year; these mixers also create a sense of community at the school. In June, every Township 5th grader is invited to the final TGIF of the school year. Participation in this TGIF mixer is designed to give incoming elementary school students a feel for what to expect when they move up to MMS. The location of MMS, just two blocks from downtown, lends a social element to the middle school experience as well. Millburn middle schoolers are known to take over the local shops, restaurants and movies when school lets out each Friday. Millburn-Short Hills elementary schools are dedicated to providing a rich and nurturing environment with curricula comprised of the core studies plus computer lab, world languages, the arts, music, library and physical education. After-school enrichment programs are readily available and all of the schools operate at the very highest level of academic performance. One highlight for elementary kids and parents alike are consecutive spring Strawberry Festivals, held annually by each of the five elementary schools. Festival rides, food and games are eagerly anticipated by all. Each separate event is enjoyed by students from the entire community, and most elementary graduates love to come back to their former schools to enjoy Festival fun and reminisce about their elementary school days. For those looking for private or parochial schools, the following schools are just a few of the many excellent options near Short Hills / Millburn. Here are just a few of the many excellent preschools near Millburn-Short Hills. Working in Hoboken, Jersey City or Manhattan? The commute from Short Hills and Millburn to NYC is an easy and relaxing 35-minute train ride on New Jersey Transit. The Midtown Direct trains bring commuters straight into NYC’s Penn Station and the Hoboken Line brings commuters to Hoboken, where Ferries and Path trains easily connect the line to lower Manhattan. There are two train stations in town, one in the heart of Short Hills and the other right in downtown Millburn; both are an easy walk from most neighborhoods. Annual parking passes are available for approximately $360 p.a. (973-564-7083) as well as daily-metered parking. If you live closer to the Maplewood train station, the Maplewood Jitney now makes two stops in the Wyoming section, and will bring you to Maplewood for only $1. Jitney stops are at the corners of Ridgewood & Cypress as well as Wyoming & Elm Street. Located right off I-78 (exit 50b) and Route 24 (exit 9b), Millburn-Short Hills is near the Garden State Parkway, NJ Turnpike, I-287 and Route 280. This easy-access to major highways guarantees smooth driving to and from New York and Newark and as well as convenient round-trip travel to all points north, south, east, and west. Area airports are also within easy reach; Newark Liberty International Airport is only a 15-minute-drive away. Downtown Millburn is charming and walkable. Local shops supply every daily need. Millburn is also home to the Paper Mill Playhouse, a 1,200-seat theater offering plays, musicals, international performances and children’s theater all year round. Downtown Millburn features a four-screen movie theater, the Bow Tie Cinema, and a variety of restaurants including Basilico, Peter’s, Cara Mia and Moonshine Supper Club to name just a few. For the most excellent coffee in the area, stop into the Coffee Mill Roasters …or head to the Starbucks down the street. The Millburn Deli is home to world-famous Sloppy Joes. And no visit to Millburn-Short Hills would be complete without a visit to The Mall at Short Hills for the latest in clothing, electronics and home furnishings. If you’re looking for fresh produce and home-baked goods, The Millburn Farmer’s Market takes place downtown every Tuesday (9AM-3PM) from June through mid-November. Millburn-Short Hills has much to offer nature enthusiasts looking for outdoor spaces to explore and enjoy. Willed to the town in 1958, the Cora Hartshorn Arboretum and Bird Sanctuary is a local treasure that consists of 16.5 acres of undeveloped woodlands. With over three miles of walking paths, 45 species of trees, including 275-year-old tulip trees, rare ferns, over 150 species of wildflowers, and 100 species of birds, there is much to see and do. At the Arboretum’s Stone House, various environmental education programs are offered for children, families, and adults. Arboretum trails are open to the public from dawn to dusk without charge. The South Mountain Reservation is another wonderful place to explore. The Reservation’s 2,112 acres wind along the Watchung Mountain Range, through Millburn, Maplewood, and South Orange. Here, woodlands include a variety of hardwood trees, and tall hemlocks tower above streams, creeks and ponds. A visitor can hike on trails that border the Rahway River, marvel at the 25-foot Hemlock Falls, check out a Dog Park that has a canine obstacle course and drinking fountains, or climb the eastern ridge for spectacular views of NYC and Newark. Greenwood Gardens is a 28-acre Botanic Garden located right in the middle of Short Hills. The Gardens are open to the public and overlook a vast preserve of forest and meadow. The Gardens, once a private estate, were donated to the town by the Blanchard family in 2003. This historic site boasts Italianate garden terraces, grottoes, meandering moss-covered paths, allées of London plane and spruce trees, ornamental trees and shrubs, and wildflower meadows. Greenwood Gardens offers a wide variety of programs and events throughout the year. The Millburn Recreation Department offers a broad array of activities to residents. Sports enthusiasts can enjoy town soccer, flag football, basketball, baseball, field hockey, tennis, lacrosse, swimming and much more. Fields, tennis courts and open green spaces are spread throughout the town to provide plenty of opportunities for outdoor fun. In particular, Taylor Park, located near the center of town has fields, a picturesque pond and a busy playground. Gero Park features the town’s Par 3 Golf Course, multiple ball fields, a lighted roller hockey rink and the recently renovated Town Swimming Pool. The pool is available to all township residents and is open on weekends from the end of May through mid-June. Regular summer hours (weekends from 11AM- 7PM and weekdays from 12PM-8PM) begin once schools let out around June 25th. In addition to the public facilities, there are many private clubs in the area. Canoe Brook Country Club offers dining, golf, tennis and pool. The Racquets Club and The Short Hills Club, both in the center of Short Hills have swimming, tennis, paddle tennis and dining facilities. The Baltusrol Golf Club is also nearby and, in 2016, will host the PGA Championship, one of the four major championships in professional golf. Millburn-Short Hills has its roots in the colonial settlement of New Jersey. During the later 1600’s, settlers moved west from New York to farm the land originally inhabited by the Lenape Indians. Later, parts of the Rahway River, which runs through the town, were dammed to form millponds and Millburn became a paper and hat-milling center. The arrival of the train line spurred further development. In the mid-1800s, Stewart Hartshorn, inventor of the spring-loaded window shade, recognized the potential of Millburn’s natural beauty and location. He purchased land from the Township of Millburn to develop a planned community he called Short Hills Park. Hartshorn built 60 Queen Anne and Shingle Style homes, a Railroad Station, a Post Office and a Music Hall in Short Hills, thus transforming the municipality into the town it is today. The sixty original Hartshown homes still fetch some of the highest prices in Short Hills.